A little-known feature in the Google Pixel‘s Call Screen is that you have the ability to listen in on any ongoing phone calls by pressing the volume keys. Few people knew about this feature until Reddit user eurostylin discovered it was possible and shared his findings with the community. After a bit of tinkering, it seems that Google will actually be adding a button to the bottom right of the Call Screen UI to make this feature more obvious for the user. I enabled a button in the bottom right-hand corner which turns on the speaker during a phone call with the Call Screen feature in active use. When the speaker icon is toggled on, you can hear what the call is saying and see the transcription at the same time. The transcriptions, while great, aren’t always that accurate so listening to what the person is actually saying can be helpful. Below are two screenshots from before the change and after the change on my Google Pixel 3 XL. Both devices are running on Android 9 Pie on the January 2019 update with the Google Phone app version 28 public beta. Call Screen is really useful for me, and Google adding more features to make it easier to use is definitely welcome. Google has already improved the feature from its initial rollout with the ability to save transcriptions for calls. Though this new speaker icon is currently in testing, Google is always actively developing their software so we can assume there is more to come in future updates. We just hope the company will roll out the feature to users living outside of the United States. 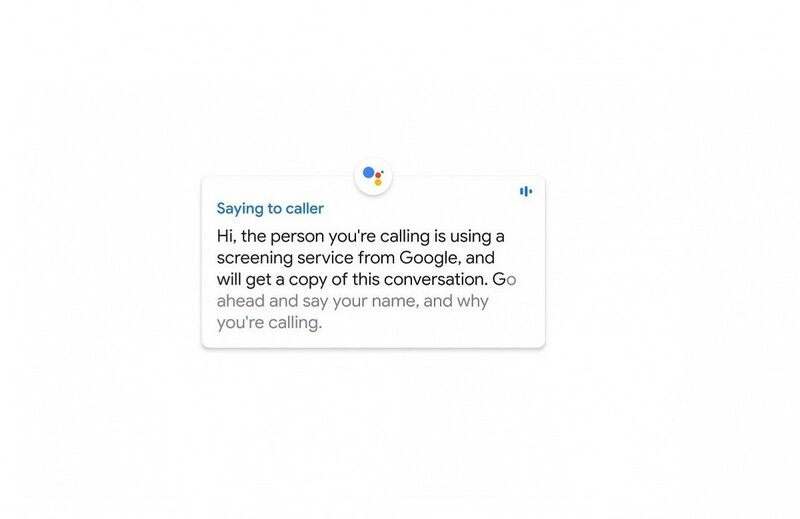 Call Screen is currently available for the Google Pixel, Google Pixel XL, Google Pixel 2, Google Pixel 2 XL, Google Pixel 3, and Google Pixel 3 XL.